Carroll College, a traditional private institution nestled in a small town amidst the Montana Rockies, is increasingly tightening America’s relationship with representatives from all corners of the globe. Such diplomatic accomplishments are achieved thanks to nonprofit organizations like WorldMontana. 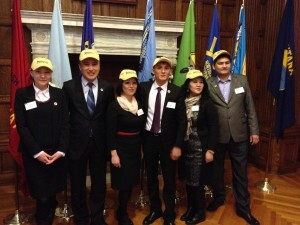 Kyrgyzstan delegates visit the capital of Montana, experiencing Montana politics. WorldMontana, which just moved from Bozeman to Carroll in the fall of 2014, has already begun to unite the college with people from around the world. Since its foundation in 1987, the organization has not only helped other nations in governmental affairs, but the organization has also brought the uniqueness of other cultures to the people of Montana. 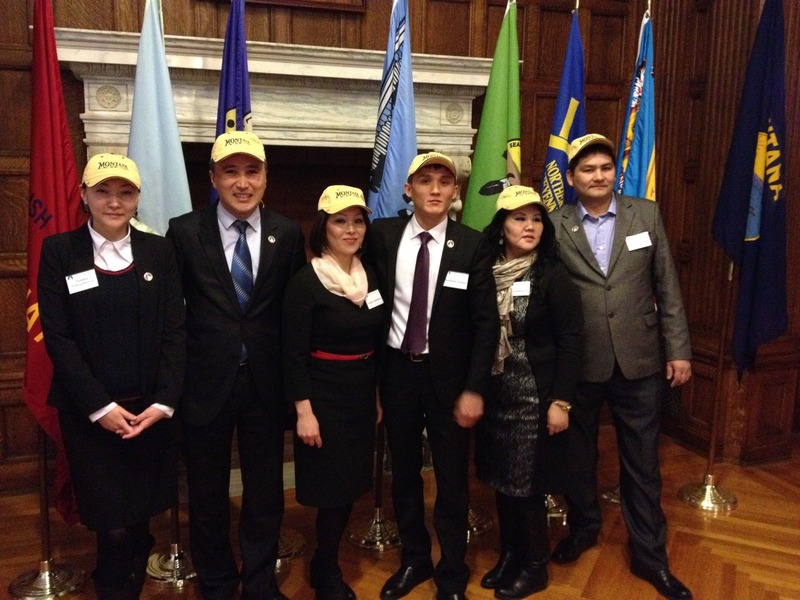 Recently, WorldMontana hosted a group of Kyrgyzstani parliamentary staffers at Carroll. They had lunch in the STAC, learned about Montana politics from Dr. Jeremy Johnson and Dr. Alex Street, and even attended the Helena Symphony. The latter experience led to the exciting prospect of exchanging symphony conductors and some musicians between Helena and Bishkek, Kyrgyzstan. Long-term relationships such as this develop from international visits hosted by WorldMontana. The visiting delegates took full advantage of the opportunity to interact with government officials, namely Gov. Steve Bullock, Associate Justice Jim Rice, and Sherriff Leo Dutton. Legislative leaders, staffers and others. U.S. government officials affiliated with WorldMontana understand how a good experience in Montana can make a priceless impression on representatives from other nations, which is fundamental in WorldMontana’s operations. US Government officials affiliated with WorldMontana understand how a good experience in Montana can make a priceless impression on representatives from other nations. As evidenced by this visit, international issues can be improved through citizen diplomacy, which is a key concept to WorldMontana’s mission. Bush mentioned how this objective strengthens America’s relationships with other countries. Hosting the Kyrgyzstani visitors proved to be an example of how one small college, an even smaller nonprofit, and a hint of the Big Sky Country can strengthen the bonds between the United States and people from around the world. “I like it when what happens in Montana is actually affecting some other things in the world—and the world is affecting Montana,” Bush said. So keep an eye out for events on campus brought to you by WorldMontana, because your presence can make a personal—and indeed global—impact. Note: WorldMontana is looking for interns to work with the program this summer and next fall. Please contact Ellen Bush at ellen@worldMontana.org or 447-4444.